TOP 15 FAVORITE DVD Commentaries! Part 2 of 3! Continuing my list of 15 favorite DVD commentaries, here are selections 6-10. 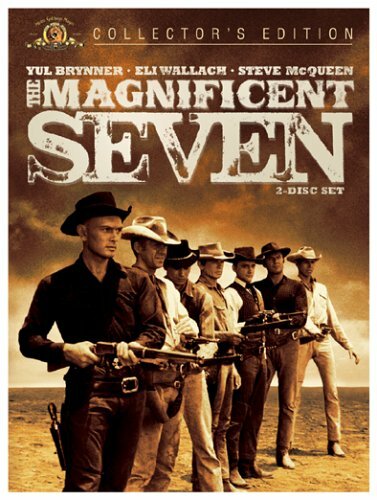 MAGNIFICENT SEVEN- Great reminiscences on the making of the film and the personalities including Yul Brynner and Steve McQueen by a quartet of voices that includes Eli Wallach and James Coburn (with a voice so deep, it’s like mountains… shifting) makes this an endlessly listen-able and informative and enjoyable commentary. Tim Burton’s SLEEPY HOLLOW commentary is up next. Tim Burton is a ‘hit and miss’ director for me, while always an amazing visual stylist, his more humor laced films such as DARK SHADOWS I don’t like. There’s a natural tendency to black humor in the direction of Tim Burton, but it works better when he doesn’t play to this tendency, because then it comes out forced as in DARK SHADOWS. However when the humor is not the goal, but just a side effect of the situations or the truth of the characters, when it doesn’t supplant or overshadow the drama or action or horror… then it works. That’s what is so special about his films, such as SLEEPY HOLLOW and to a lesser extent the first BATMAN, that dark Gothic atmosphere, that tone, stays paramount, and indeed is heightened by brief moments of levity. Heightened by a deadpan delivery, not there for laughs, but because that is the truth or the absurdity of that character in that moment. The scenes should work when played and taken straight, and shouldn’t be there expecting a laugh (which is the surest way not to get one), however if the humor works, comes across for some, that’s just an added bonus. A great commentary by Tim Burton touches on all of this. Burton discusses working with Christoper Lee and Landau and of course Depp, the power of Spanish horses, his sheep fetish, working on sets (which Burton is a master of), discussing Depp’s amazing ability to faint like a girl. 🙂 Just a fun, informative commentary that lets you see first and foremost Burton as film fan and connoisseur. 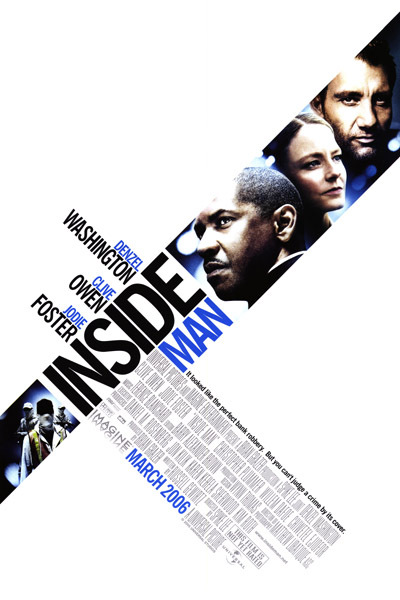 INSIDE MAN- Spike Lee’s career took a heavy hit with the atrocious film, MIRACLE AT ST. ANNA, one of the few movies so awful I walked out on (to be fair the camera work was great, just the story and dialogue and pacing was garbage). However prior to that, he was firing on all cylinders with the film INSIDE MAN. Not just one of Spike Lee’s best films, but one of the best heist/thriller films you’ll come across. And it’s adorned with a FANTASTIC commentary by Spike Lee that shows him as the ultimate New Yorker. Just great, high energy stories about Lee shooting in a city he clearly loves. Perhaps the only other filmmaker who is as much a cheerleader and champion for New York as Spike Lee would be Martin Scorsese. A wonderful commentary. THE LEAGUE OF EXTRAORDINARY GENTLEMEN- It’s rare when you can point to a film and say. “yep this is the film that ended his career”. You can do that with this film, and the directing career of Stephen Norrington. Most people hate this film for largely not being Alan Moore’s comic, and the changes made. Well it is definitely changed. But that’s the nature of Adaptations, what works on the page does not necessarily work on the stage/screen. And slavish devotion to the source material, ala SIN CITY is no guarantee of quality (I hated SIN CITY). If you want the source material, go read the source material, that hasn’t been changed. For the rest of us, we are sharp enough to get the fact that the film has to meet the needs of a far greater range of people and interests, and becomes by definition a different thing. Now whether that different thing is good or bad is the question. 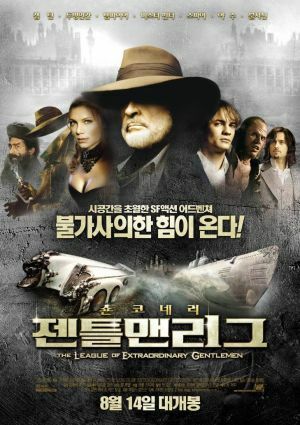 In the case of Stephen Norrington’s THE LEAGUE OF EXTRAORDINARY GENTLEMAN I enjoy this film a lot. And I appreciate it more every single time I see it. It takes the framework of Moore’s story, and builds something that moves at a brisk, exciting pace to fill close to 2 hours (110 minutes), something that Moore’s original, was not designed to do. Moore’s work is designed for the page, and works best there. But to adapt it to the screen, it has to become something else. And I think Norrington and crew create a something else… that is one of the best love letters to the age of the pulp hero and two-fisted action that you will find, outside of an Indiana Jones film. And I love that it goes for practical effects, and tries different things, instead of just CGI. So yep I proudly own the DVD for this film, and routinely take it for a spin. And I also routinely listen to the commentary, which is great. By all reports Norrington had a bumpy time with his first success BLADE, coming to loggerheads (a fancy old time expression, meaning to bring something to a boil. A loggerhead back in the day being a long heated piece of iron with a bulbous head used to heat liquids. And yes, that is your word for the day :)) with individuals, that almost there ended his directing career before it began. Here in LEAGUE, in his fourth film, he ticks off (forget Alan Moore, forget the fans)… he ticks off the star of the film, the legendary Sean Connery! And all of that, is included in the commentary. How are you going to talk about throwing down with Sean Connery?!! So it is an amazing bit of commentary for this 2003 film, and seemingly signals a promising director’s swan song from the business. 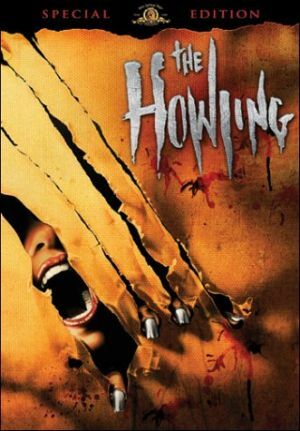 THE HOWLING- Everyone knows this is one of the greatest Werewolf movies ever, but what you might not know is it’s also one of the most enjoyable, fun commentaries. With Joe Dante, Dee Wallace Stone and her husband Chris Stone (boyfriend during the filming of the movie, I’m such a romantic that I dig things like that, plus I generally adore Dee Wallace, she is just so completely invested and open and awesome in this film), and Robert Picardo, all just having a ball. And to that fact, there are guest stars/cameos galore (Ackerman, Sayles, Corman, Caradine, Slim Pickens, etc) in this film, and this commentary becomes everything a great commentary should be. Easily should make anyone’s best of list! Join me in the next installment as we cover the final five favorite commentaries #11-15 (Here’s part 1 if you missed it)! And in the interim feel free to leave comments about your favorite commentaries! If you like this post, take the time to give a ‘like’ and also take the time to purchase using the links provided. That one two punch of support is what keeps this blog going. And it also helps me decide what future segments to concentrate on, the posts that get the most likes, and generate the most purchases, are more than likely topics that have an audience, so I’ll revisit them. So yeah, your feedback in those two ways… just a way cool thing for you to take time to do! Keep it up! Thanks! :)!